As Bruce Wayne shows the beautiful head of a UK electronics company the sights of Gotham, they are interrupted by the felonious feline Catwoman! 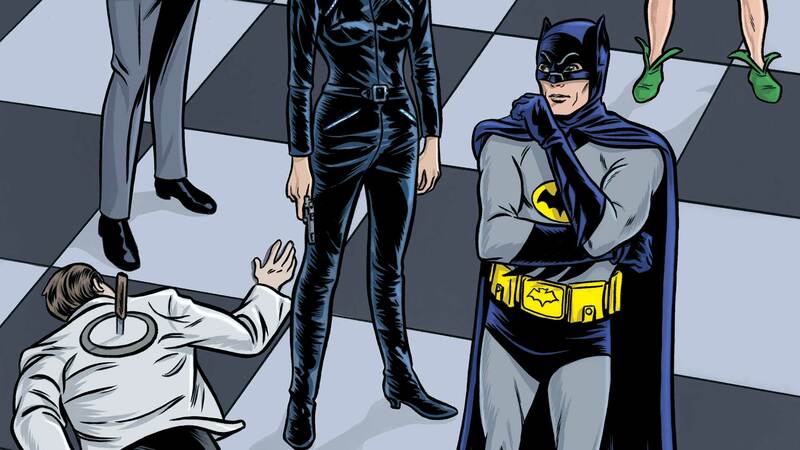 Unwilling to leave Miss Michaela Gough unprotected, Bruce resigns himself to the fact that Batman cannot save the day. But some new players have arrived in town—though even as the lovely, catsuit-clad Mrs. Peel and her comrade John Steed take control of the situation, nefarious plots continue apace!